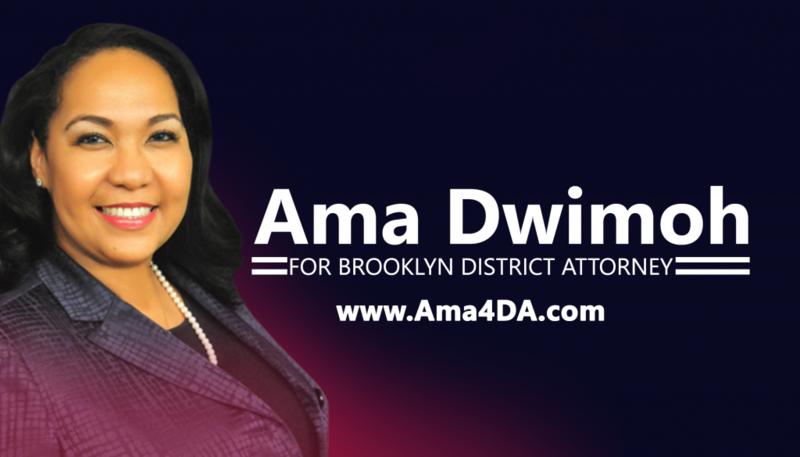 Ama Dwimoh, former Chief and founder of the Brooklyn DA’s Crimes Against Children Bureau, and current Special Counsel to Brooklyn Borough President Eric Adams, has dedicated her life to serving and protecting the people of Brooklyn. Ama was raised by West African and Native American parents and her upbringing instilled in her the importance of community, a strong dedication to justice and a deep understanding of and appreciation for different cultures. She has used these lessons to serve Brooklyn’s diverse population as both one of the Borough’s most accomplished prosecutors and as a nationally renowned public policy and legal expert. 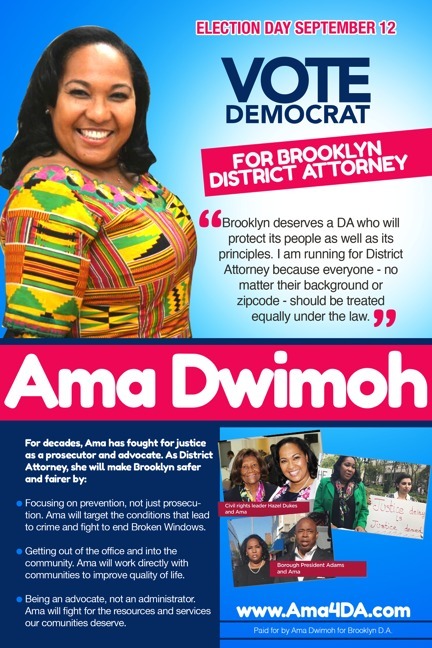 Ama received her bachelor’s degree from Barnard College before graduating from Georgetown University Law School. From there, instead of going into private practice, she chose to pursue her dedication to public service by joining the Kings County District Attorney’s Office as an Assistant DA. She stayed for more than two decades, making history as a Prosecutor and Administrator. As Chief of the Bureau, Ama fought and won some of the most notorious child abuse cases in New York and the nation, including the case of seven-year-old Nixmary Brown. Nixmary was tortured, molested, beaten, and murdered by her stepfather and biological mother. Ama secured the convictions of both: 29 years for the stepfather and 43 years for the mother.